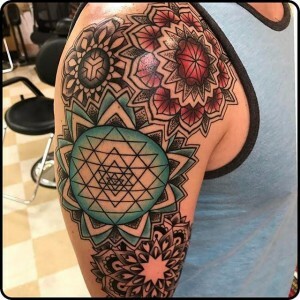 From sacred geometric designs to a perfect portrait of your pet, if you are researching and looking for a tattoo artist in Denver, then check out what Mantra Tattoo professional tattooists have to offer! He specializes in Geometric and Sacred Geometry. Geometric tattoos are made of a repetitious design of geometric shapes. They are a representation of consistency, balance, and precision. Sacred geometry tattooing focuses on patterns and shapes found in the natural world blended with a history of religious iconography. 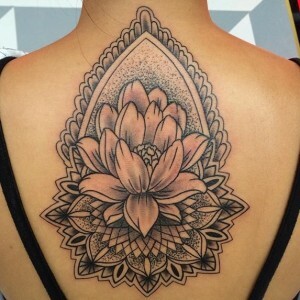 Also, this tattoo style often goes together with the dotwork technique. The most popular designs are mandalas. Want a stunning animal portrait? Mike will replicate your pet down to every single last detail. 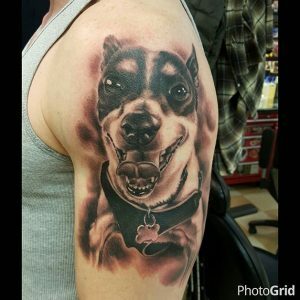 Animal portraits are a perfect tattoo choice if you want to keep your favorite pet close, and it is a constant reminder of our ties to the natural world. American Traditional is his ‘’forte’’. Bold black outlines and a limited color palette are what create old-school designs, which are usually filled with solid red, green, and rare additions of blue, brown, purple, and yellow; with little or no shading. 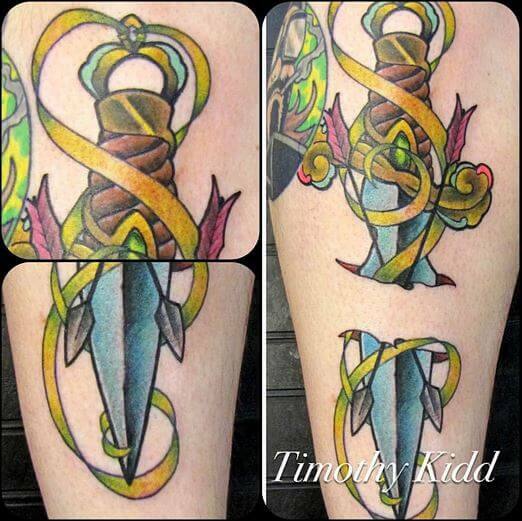 Kidd will take nautical designs, including anchors, daggers, compasses, stars, and ships just to name just a few of the most common examples, and incorporate a broader scope of themes and design elements. The result will be an old-school custom tattoo that no one will have! If you are looking for more realism, then Zane is the artist. Zane will recreate images as they would appear in real life. The realism style of tattoo typically does not include the bold outlines found in old-school tattoos and instead uses color contrasts and shading to render the image. For Black and Grey lovers, Chance is your artist! 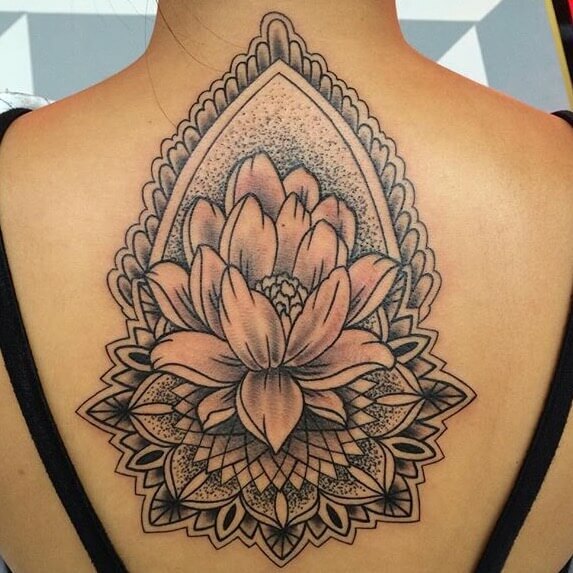 Black & gray commonly blend with realism tattooing, however, instead of using color, traditionally black and gray tattooing only uses black ink and water. The result will be a custom tattoo entirely achieved with shades, hues, and color contrast on your skin. So, have you decided to get your next tattoo? 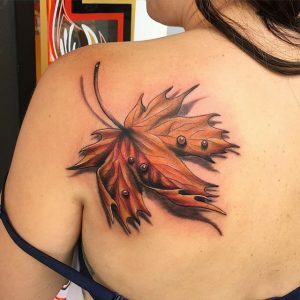 Come to Mantra Tattoo & Piercing studio this fall and get yourself tattooed by a professional artist in Denver, Colorado.